You all may remember my review of our first Pillow Pet from July. Cooper names his patriotic Pillow Pet Sarge, and he still sleeps with him every single night. Sarge is a staple in our home, and one of Cooper's favorite things. I was recently offered the chance to review the Magical Unicorn Pillow Pet, and I couldn't wait! Though the Unicorn is a little too girly for my son, he wanted to give it to his cousin, Avery. The unicorn is purple and pink and matches her room perfectly. The Magical Unicorn Pillow Pet is just as adorable and durable as our Sarge. The Pillow Pets are so very soft and cozy. Cooper likes to bring his in the den in the evenings to "rest" while he watches TV. Then he picks it up and carries it with him to bed every night. It has come with us on all of our overnight trips and vacations since we received it. I highly recommend My Pillow Pets to anyone. They are very cute, but also very functional. I personally think a My Pillow Pet would make a great Christmas gift for any child in your life! BUY IT! You can purchase your own My Pillow Pet here. WIN IT!! 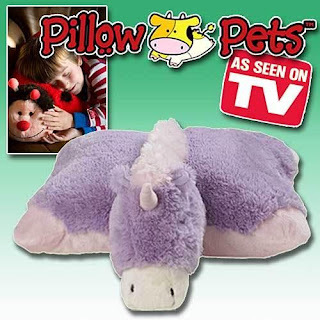 One lucky winner will receive their own Magical Unicorn Pillow Pet! Tell me which Pillow Pet is your favorite! Follow me on Twitter and tweet about this giveaway! (Leave your Twitter name and a link) You can tweet this daily: " My Pillow Pets giveaway at Opinions of a Moody Mama #giveaway @coopersmommy http://tinyurl.com/287sypm PLEASE RT!! " Cuddly Pig is our favorite! I really like Squeaky the Dolphin. I signed up for the Juno Baby newsletter. I like My Pillow Pets on Facebook as myself. I follow on Twitter as BookOwner and tweeted. I like the squeaky dolphin. My daughter loves the Unicorn Pillow Pet! This is the one my daughter like and HAS to have...but I like the penguin. We like Cozy Cow too. We like them all, but snuggly puppy would definately be one of our choices. Comfy Panda is my favorite. Squeaky the Dolphin is my favorite! My favorite is the Tardy Turtle. i love the lady bug pillow pet , its my favorite. My favorite is Comfy Panda. My son really wants this unicorn. His 2nd choice is the dolphin. My daughter by love is adoring the unicorn pillow..so that is the one( she saw it at Ace Hardware and wanted it so bad)..Would be a Christmas gift! I voted today via the Twisted Fish giveaway page! I entered the Twisted Fish giveaway.. I like Friendly Frog-he's a cutie! I love the comfy panada! I like my pillow pets on FB! Wiggly Pig is my favorite! The Wiggly Pig is my favorite. I love the unicorn pillow pet! So cute! 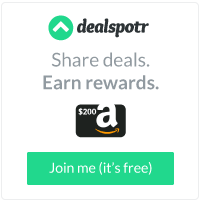 I am an e-mail subscriber!! I like the bumble bee.